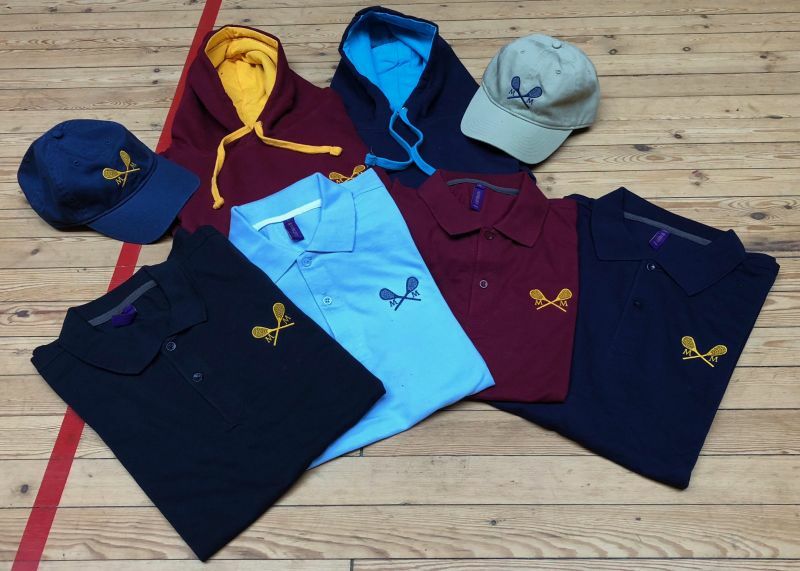 We are pleased to offer a range of clothing for wear on court and off mixing traditional tennis wear with more modern items making use of high-tech sportswear fabrics. Sample items are on display at the club for inspection and we hold a small amount of stock for popular items in a limited range of sizes. Tom can check whether an item is in stock and take cash payments. Members can pay on account and should mail shop@mmtcc.org or log any items collected in the bar book. For items not held in stock we can order the item from our supplier, if you would like to order an item please e-mail shop@mmtcc.org. Orders can be placed at any time and items can be ordered individually. Larger orders of 6 items or more should normally be delivered within 2 weeks, smaller orders may take longer. Many of our items are available in a wide range of colours and different sizes, if you have a requirement that is not detailed here please contact the shop and we can advise on the various options. We would also like to hear from you if you have any ideas for items you would like us to make available through the shop that we don't currently offer.